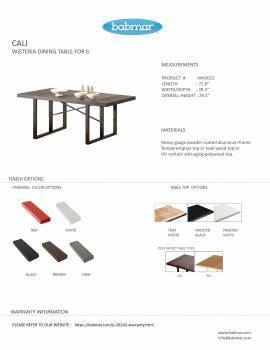 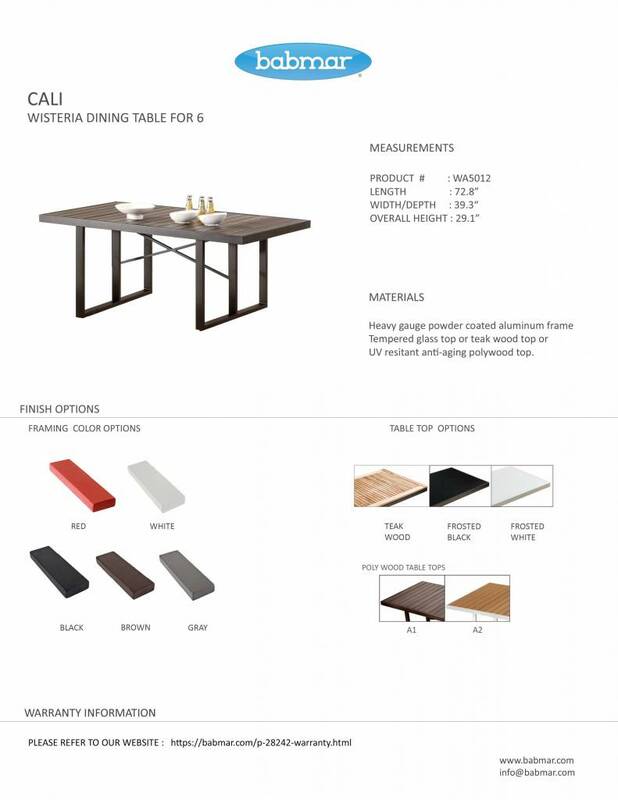 The Cali Dining Set for Six follows the minimalist principles of design and has been constructed of heavy-gauge aluminum frames. This dining set is a blend of style and practicality, accommodating six people at a time. 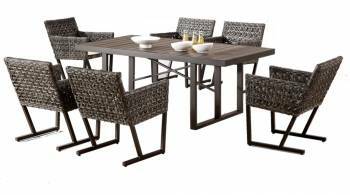 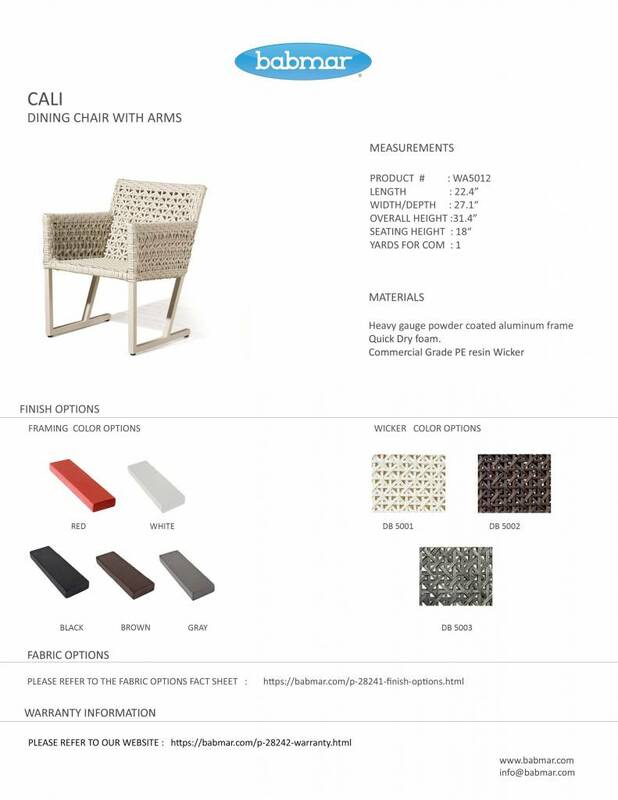 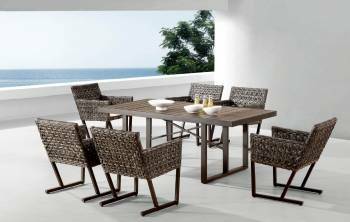 The set comprises six high-quality outdoor wicker-woven aluminum-frame chairs and a contemporary-style rectangular dining table.Constructed of heavy gauge aluminum frames woven with high Quality outdoor wicker. 100% Commercial Quality.